NASH COUNTY (WTVD) -- The Nash County Sheriff's Office has arrested five people it says were bringing over 14,000 baggies of heroin into the area from New Jersey. On Friday, the sheriff's office Drug Task Force said it got a tip and was able to find a vehicle exiting I-95 South onto U.S. Highway 64 West. According to officials, the vehicle was stopped for a moving violation on W. Washington Street in Nashville, North Carolina. Officers searched the vehicle and were able to seize 283 bricks (14,150 bindles) of packaged heroin, along with 101.1 grams of raw heroin. Another vehicle involved in the case was also stopped. Five people were arrested at the scene. Four are from New Jersey and one is from Ohio. Michael Green is charged with three counts of trafficking opium or heroin and conspiring to traffic opium or heroin. Kahdijah Tamirah Smith is charged with trafficking opium or heroin and three counts of conspiring to traffic opium or heroin. Both were given a $1.5 million secured bond. Shamsuddi Green is charged with four counts of conspiring to traffic opium or heroin and given a $1 million secured bond. Rachine Green and Kawuan Robertson are charged with one count of conspiring to traffic opium or heroin and were given a $250,000 secured bond. 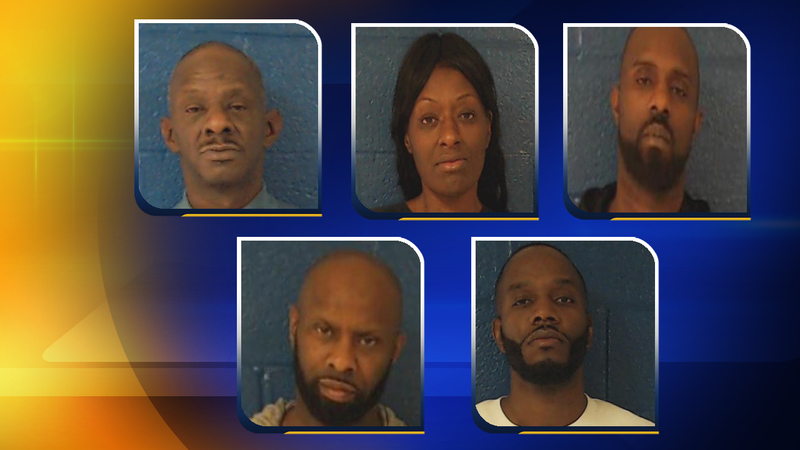 All five have their first court appearance set for Tuesday in Nash County.